Last week I went along to the Random House Children's Books Christmas Party. And look who I met there - only bleedin' POSY SIMMONDS that's who! Thanks so much to Sarah McIntyre for introducing me, and taking the photo to prove it. I think in this picture I am grinning while apologising for not being remotely famous or talented enough to talk to her. It was a lovely party although it did have the overwhelming effect of making me realise how appallingly little I know about the world of children's book publishing. It's beyond 'embarrassing' and into 'actually quite seriously unprofessional', the degree of my ignorance about what is now after all my own field. I can only plead newness and point out in my defence that I do know an awful lot about comics. But that's really no excuse. I have made an early New Year's Resolution to begin properly acquainting myself with some of the works and authors I really ought to be acquainted with already, and as a starting point I am going to seek out works by some of the people I met at the party, because (a) they seemed lovely, and (b) their books sounded really interesting. 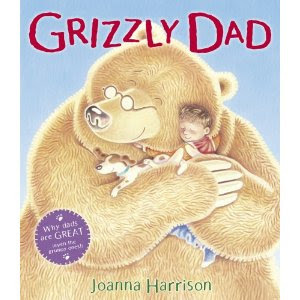 Grizzly Dad by Joanna Harrison . A story about a boy who discovers that his grumpy hangover Dad has turned into an actual grizzly bear! I am totally buying this for Logan, something tells me he may be able to relate. Joanna was one of the animators who worked on The Snowman, a fact that caused me to gibber involuntarily and express my awed nerdy admiration at her for about ten minutes in an entirely embarrassing fashion. But hopefully she didn't notice. 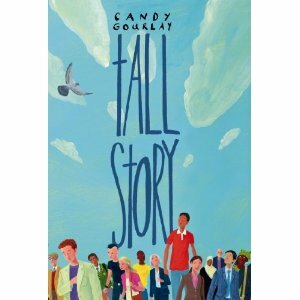 Tall Story by Candy Gourlay - I only met Candy super-briefly but I've heard great things about her work from Sarah McIntyre. And hey, the Blue Peter Favourite Story Prize can't be wrong, right? Swapped by a Kiss by Luisa Plaja because, if I'm understanding this right, it's a bodyswap teen romance novel, and frankly that sounds like it was written specifically FOR ME. Luisa's books look so very much my cup of tea it's ridiculous. Luisa, if you ever start writing comics, give me a shout! So that's a start! 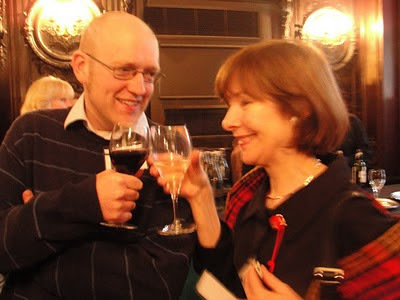 Fortunately I also had the chance to chat at the party to Ann Giles, who blogs as Bookwitch, and has taken pity on my catastrophic lack of knowledge and put together some suggestions on her blog for books I can read with Logan! Thanks so much, Ann!